History, heritage, outdoor recreation, traditional cuisine - Cullman has a little bit of everything to enjoy during your stay in Alabama. Some of their more unique attractions which you can only experience in Cullman include the Clarkson Covered Bridge, St. Bernard Abbey, and the world-famous Ave Maria Grotto. 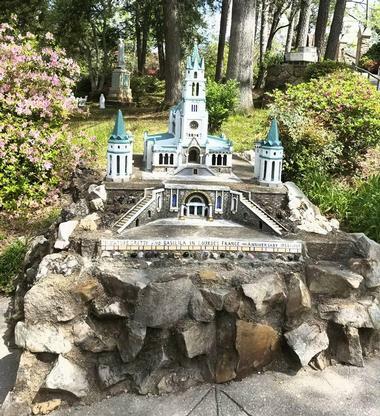 Found on the grounds of Alabama’s first and only Benedictine Abbey, Ave Maria Grotto comprises over 125 reproductions and miniatures of shrines, churches, and buildings, which are displayed over three acres of land. The recreations are the work of Benedictine Monk, Brother Joseph Zoettl who built the works with materials donated from around the world. The miniatures that you see there could be made from broken marble, shattered bathroom tile, colored glass, cold cream jars, marbles, costume jewelry, and anything else people donated because of their admiration for his beautiful craft. The miniature fairyland has been around since 1934, with Brother Joseph’s last modern being added in 1958 before he passed away - today, visitors come from far and wide to see his creation. 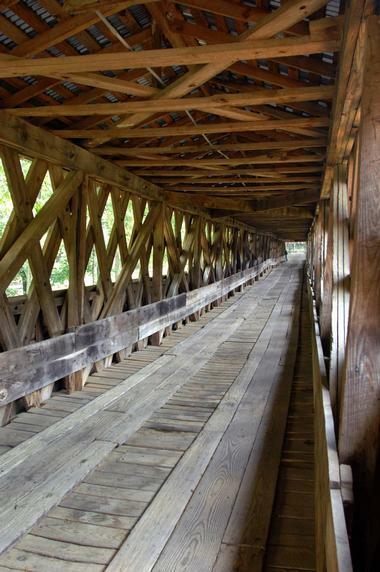 One of the most historically rich sites and well-known attractions of Cullman, Alabama, the Clarkson Covered Bridge is visited by almost everyone who passes through there. 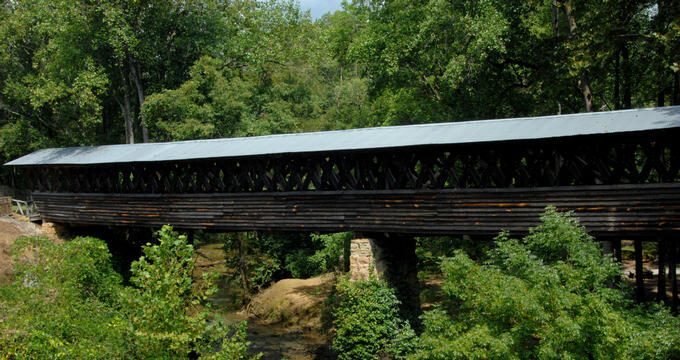 The bridge was originally built in 1904 as a means for travelers and farmers to get across Crooked Creek. It deteriorated over time but was soon used as the park’s centerpiece to showcase the bridge and its historical significance. For visitors to get an idea of what the area was like in its original form, two period structures were added in the form of a working grist mill and a Dogtrot log cabin. 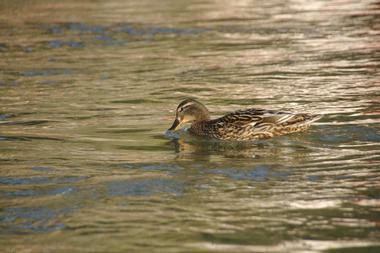 Other aspects include several picnic areas and hiking trails. Residents and visitors flock to Sportsman Lake Park on a nice summer day as it is one of the most fun and family-friendly outdoor sites in Cullman. The park surrounds a shallow body of water that is teeming with fish, making it perfect for riding the readily available paddle boats and feeding the fish. There are several amenities such as picnic tables and pavilions for those who want to fire up the grill and have a meal with friends and family. Kids of all ages can ride the small-scale train which wraps around the lake, as well as partake in other activities like playing a round on the 18-hole putt-putt golf course. Additional features include several fitness stations scattered throughout the park and a number of hiking, biking, and walking trails. The Cullman County Museum is a great way to better understand the unique heritage of ‘the German colony of North Alabama’. 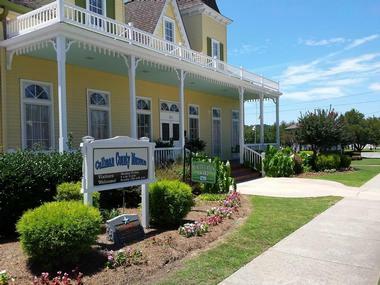 There is so much to see and learn from at the museum as they have exhibits on native heritage, the civil war, Main Street in the 1800s, and the sounds of Americana music from Cullman’s earliest residents. Visitors of all ages will love seeing the many artifacts and photographs, including clothing, currency, and pottery and arrowheads from the Creeks, Cherokees, Chickasaws, Choctaws, and other Indian tribes that were native to Alabama. Several rotating exhibits come through the museum throughout the year as well, so you may be in for an extra treat depending on when you visit. Found on the shores of Lewis Smith Lake, Smith Lake Park is a wonderful place that is filled with various features and amenities. 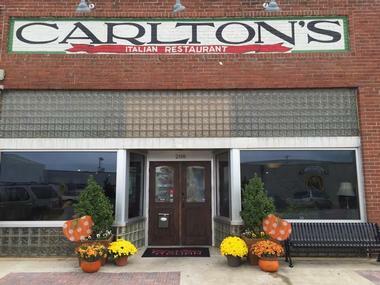 It is one of Cullman’s premier destinations for outdoor fun and relaxation. You can spend your day swimming in the pool, hiking on the many trails, or fishing off the pier - they even have a camp store complete with fishing tackle and anything else you may need. Camping is allowed all year long; there are unlimited primitive sites for you to pitch up a tent, as well as 61 designated tent sites with electric hooks ups, five water and electric sites, 199 full-service sites, and nine cabins scattered around the park. Several events and festivals are held at the main stage and/or pavilions throughout the year. The St. Bernard Abbey, which was established in Cullman in 1891, has a rich history that dates all the way back to circa 700 A.D. - it was back then that the Metten Abbey monastery was founded in Germany. From there, they came to Pennsylvania in the 1870s to plant monastic life and minister the German-speaking immigrant population, before they finally landed in Cullman. 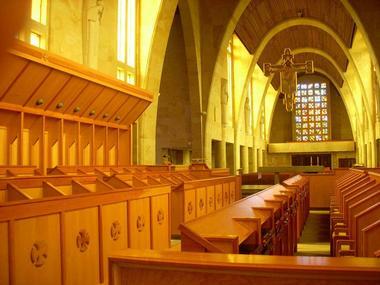 The Benedictines are known for their hospitality and visitors of all faiths are welcome there to join the monks for Mass, explore the grounds, or stay as they search for peace, joy, and God. Smith Farms established itself in 1955 as a small, roadside stand which sold seasonal produce and a few cured hams and bacon. Today, the farm operates a fully USDA inspected process and is recognized nationwide for its truly unique ‘Southern tasting’ products. The farm continues to use the same time-honored methods, techniques, ingredients, and recipes, which were perfected all those years ago. You’ll be able to purchase ham, bacon, and sausage smoked with real hickory wood, perfectly cured pork, and delicious stone-ground grain products such as biscuits and grits. Complete your southern shopping experience with some of the farm’s popular preserves, jams, fruit butters, pure honey, or aged Wisconsin and Amish cheeses. Southern Accents Architectural Antiques has one of the largest, most diverse, and extremely unique collections of architectural antiques in the entire South. Visitors are invited to shop the showroom and outdoor lots to see what’s readily available for your next construction or home remodeling project. There’s several items in their designated sale area to ensure that you get the best deals for the artistic items. If you don’t find something that’s just perfect for you, meet one of the experienced professionals to see what can be crafted specifically for you. 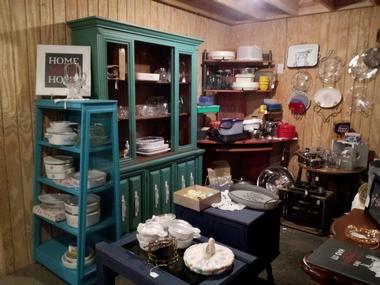 Out of town visitors may not be in the market for such products, but always find themselves gravitating to Southern Accents to see the many antique doors, fireplace mantels, stone work, salvage art, and other items that are on display there. At Goat Island Brewing it is firmly believed that “life is too short to drink baaad beer”. The brewery is the brainchild of four friends who had a solid reputation of homebrewing new concoctions and perfecting old ones long before the brewery actually came to be. 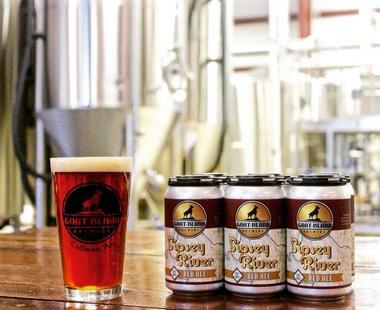 Visitors will be able to try beers that have been taken to an entirely different level, made with recipes that were tried, tested, and tried again. While you’re there be sure to try Richter’s Pils, which is an antique light golden pilsner which won the gold medal at the 2017 Alabama Craft Beer Championship. Highway Pickers Antique Mall and Market is one of the largest indoor antique and flea markets in the entire south. There are three floors of items, ensuring that there is something for everyone in the award-winning market - they were voted best antique store for three years in a row. 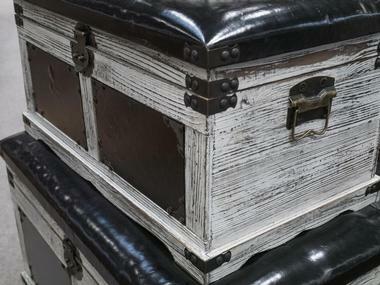 Some of the items include crafts, collectibles, antiques, military relics, primitives, estate jewelry, and vintage clothing. It’s the perfect place to spend hours exploring and finding unique gifts to purchase, and if you’re not in the market for something to buy, just stop by, look around, and have a chat with the friendly owners. Head over to the family owned and operated Steele Orchard for delicious fresh fruit and home baked goods. 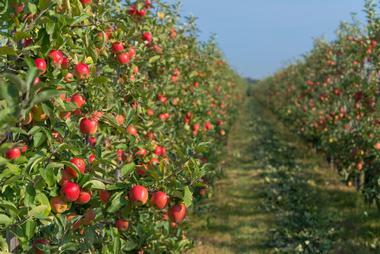 They have been offering their patrons high quality products since 1985; you can see the apples, peaches, and plums flourishing in their extensive orchard. When buying your handpicked fruit, you’ll have a choice of over six different varieties of peaches and twenty varieties of apples. Their bakery is famed for their Southern fried pies, which is something you must try while there. Other delicious concoctions that can be purchased at Steele’s bakery include homemade jams and jellies, apple butter, apple cakes, homemade ice cream, fresh cider, and much more. The Cullman Wellness and Aquatics Center is home to the Wild Water waterpark, where tons of locals and visitors flock to on a hot summer day to cool off it the many attractions. There’s diving boards, swimming pools, a splash station, and a drift river that you can lazily float through. 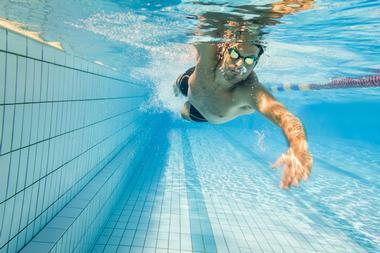 The center also offers an indoor swimming pool which you can swim laps in or take one of the classes for swimmers of all ages. A separate children’s play area is available for younger visitors. Their fitness center has state-of-the-art work out equipment and offers many classes such as Pilates, yoga, dancefit, and cycling. 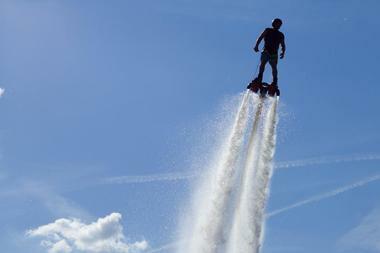 Alabama Flyboard offers a premier flyboarding experience in Cullman’s gorgeous Smith Lake Park. You can head to the launch ramp and spend your time on the calm waters, hovering over it in a thrilling moment that is incomparable to other water activities. No matter if it is your first time, or whether you’re a flyboarding expert, the professionals at Alabama Flyboard will ensure that you have a safe and fun experience. If you can’t make it to their launch site at Smith Lake Park, the team is more than happy to come to other lakes or cater to private residencies that have their own lake access. The TP Country Club is one of Cullman’s hidden gems that is extremely popular with those who know about it. 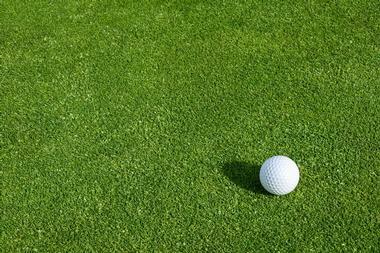 They house a top-notch, par-72, 18-hole golf course that is renowned for being meticulously maintained. It’ll challenge even championship golfers with its elevation changes. There is a practice facility which has a driving range with 25 hitting stations, as well as a practice putting green and chipping green for you to use. Other amenities include the clubhouse swimming pool and several tennis courts. The 19th Hole will offer a delicious drinking and dining experience - head out on to the patio to enjoy your meals while taking in the panoramic view of the grounds. 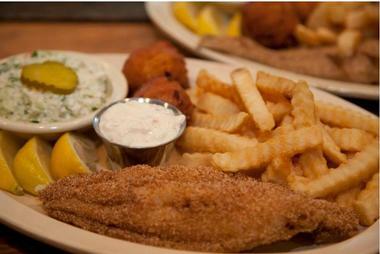 Augusta’s Sports Grill serves delicious, fresh food which carries on a family legacy in each dish that is served. 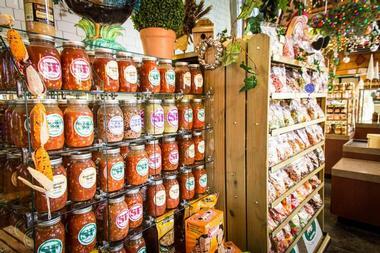 The family-owned and operated business started with the entire family’s love for fresh food which was passed down by their grandmother, unique ingredients, and intricate technique which brings all the flavors together. Everything offered on the menu is handmade and nothing is frozen, ensuring that you have an amazing dining experience. Pair your meal with a refreshing drink that can be suggested by the restaurant’s experienced bar staff - be sure to try some of the local craft brews which are available on tap. Johnny’s BBQ has been a Cullman staple since 1949, offering the community the best of southern barbecue, catfish, fried chicken, and more. The family-owned business is now going on its third generation, and introduces modern techniques and flavors into their traditional, tried and tested recipes. Their menu is great for meat lovers and they have several renowned barbecue plates you should try including the rib plate, Bar-B-Q sandwich plate, and their chicken plate. Be sure to include some of their mouthwatering appetizers and sides like BBQ beans, coleslaw, macaroni and cheese, baked potato, dinner rolls, or their special potato salad. 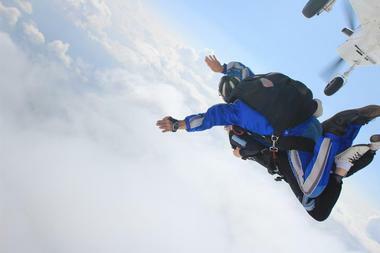 No matter where you go in Cullman, no one will provide the view and experience that you will get with Skydive Alabama. 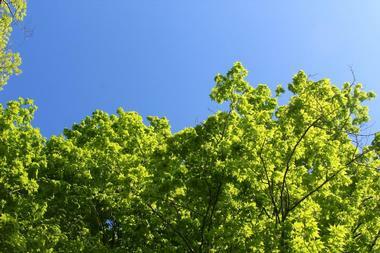 You can get a birds-eye view of Alabama’s stunning natural beauty for miles and miles. It is the premier skydiving center in the entire state and offers so many packages for visitors, no matter if they’re a first-time jumper or an experienced professional. You can do a tandem dive with a trained professional or even join their Integrated Student Program to earn your skydiving license and fly solo. They even offer several in-flight photography and video packages so that you’ll have your thrilling moment captured forever.